I am often asked how much value is added to a home that has solar panels. There are many factors that a real estate agent needs to know in advance before this determination is made. Whether you are getting ready to sell your home or just curious below are some tips that will help guide you in the right direction. 1. The first thing an agent needs to know if your panels are owned or leased. It will make a big difference in their value. 2. If your panels are owned they should be factored into the price of the home just as any other asset would be. It is prudent to search for comparable homes with owned solar panels. 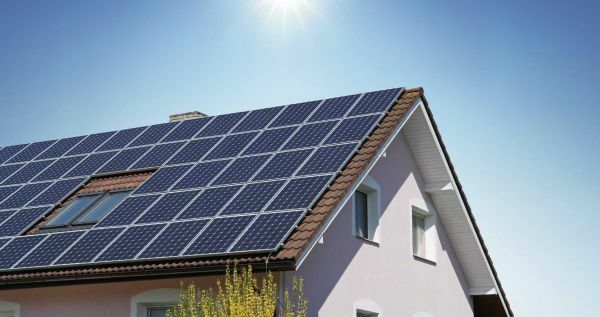 If it is difficult to find a home with solar panels that has sold I suggest to consult with a local appraiser to help assist you in determining the value. The solar renewable energy credit (SREC) should also be considered when valuing the asset. Any buyer purchasing your home will want to know if they are transferrable. 3. If the solar panels are leased it can be a bit more complicated to determine the value. Before you house is on the market you should contact the leasing company to find out the process to transfer over to the new owners. I would have all this information together prior to listing so the buyers will be well informed prior to making an offer. 4. If you find out that buyer do not like the fact your solars are leased, you might be able to buyer out the lease. An SREC is created for every megawatt hour (MWh) of electricity produced by a solar generator. SRECs allow a seller with a solar array to use electricity that is produced by the panels and then separately sell the SREC to a utility company. Some solar owns use SREC brokers to handle the sale. If you are interested in getting solar panels, click here to visit the MassGov website for helpful tips. The information provided was taken from notes provided from the Massachusetts Association of Realtors Legal Hotline.